There is some interesting news this week in the way of lawsuits against automakers. GM is being sued by truck owners for allegedly cheating on diesel emissions on its 2012-2016 Duramax diesel engines. http://autoweek.com/article/car-news/gms-turn-chevrolet-silverado-and-gmc-sierra-duramax-diesels-used-defeat-devices. 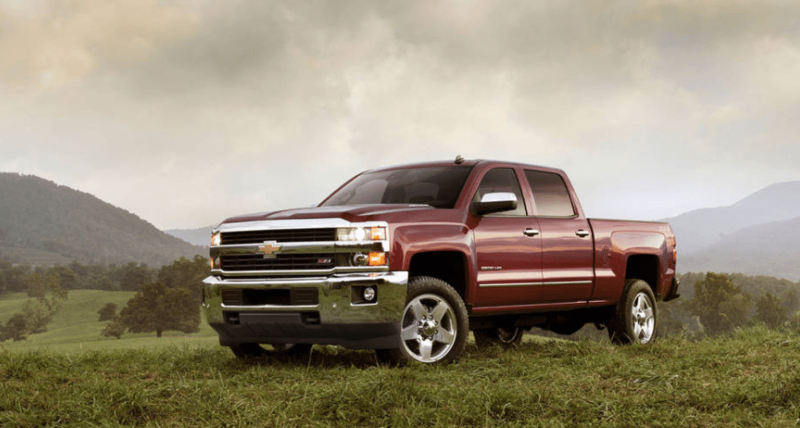 According to the article more than 700,000 Chevy Silverados and GM Sierras could be affected by this lawsuit. Interestingly enough Robert Bosch, who is part of the VW cheating scandal, is named in the lawsuit as well. He is the supplier for the parts for the diesel engines. I wonder if customers noticed his name and then decided their vehicles must be cheating too. The Autoweek article also points out that Volkswagen is mentioned in the lawsuit 83 times. And I have said this before, but who buys a big giant truck and then cries foul over emissions? I would be interested to see if this is a case of false equivalency or if GM did cheat. Speaking of cheating, the Justice Department has sued FCA over alleged diesel emissions cheating. http://www.freep.com/story/money/cars/chrysler/2017/05/23/fiat-chrysler-diesel-lawsuit/339349001/. The complaint alleges that for model years 2014 thru 2016, FCA equipped its Dodge Ram 1500 and Jeep Grand Cherokees with software to circumvent the emissions test software. This, too, is a case similar to the Volkswagen case and like the GM case, FCA attests its innocence, whereas VW admitted to wrongdoing when caught. I wonder if this is another case of false equivalency or even worse, a witch hunt, or if FCA did cheat and our automakers aren’t being honest with us. Ford, too, is being sued by 7000 owners of the Focus and Fiesta for poor transmissions. http://www.washingtonpost.com/cars/ford-fiesta-focus-owners-sue-over-faulty-transmissions/2017/05/31/d4354020-462f-11e7-8de1-cec59a9bf4b1_story.html?utm_term=.fa239dacedd1. The lawsuit alleges that the PowerShift system in some 2011-16 Fiesta and the 2012-2016 Focus put the vehicles and owners at risk. Plaintiffs allege that the transmission caused the vehicles to act uncontrollably on the road, though the experiences are so varied that they can’t file a class action lawsuit. Ford, for its part, did put out 20 safety bulletins to correct the problems associated with shifting and power loss in the affected vehicles. So why are they still getting sued? I am especially curious since the PowerShift system isn’t exactly popular, in fact, it was known to be a little rough. With all of these items today, I can’t help but wonder if we as a people are just bored and looking for things to be offended an unhappy about. But what do you think? Are American automakers missing the mark, or are we just looking for problems? This from Jalopnik: http://jalopnik.com/nothing-on-gods-green-earth-is-going-to-stop-me-from-wa-1795704690. It seems caper moviemaker extraordinaire Steven Soderbergh is bringing his talents form the Ocean’s series to NASCAR. Yes, you read that right. Steven Soderbergh is making a NASCAR heist movie. Logan Lucky features Daniel Craig, Channing Tatum, and Adam Driver, to name a few, as they attempt to rob the Charlotte Motor Speedway during the Coca Cola 600. I am not sure how I feel about this or the feigned Southern accents.